This specific case deserves attention for two main reasons. On the one hand, concerns about the United States losing its superiority in drone technology have been voiced for quite some time. Over four years ago, some scholars were warning that “the rest of the world [was] quickly catching up.” Many scholars and observers have worried in fact that low costs and technological simplicity may favor the proliferation of drones with direct implications for regional and even global stability. On the other hand, that China is trying to copy foreign technology is nothing new, and many have wondered whether the new opportunities opened up by the digital age, such as cyber-espionage, might pave the way to a new era in great power rivalry in which technological advantages are inevitably transient. Fortunately, both of these conclusions are largely exaggerated. What can we learn from the Chinese drones on display? We can learn close to nothing by simply looking at them. As it is the case for mobile phones, laptops, and cars, the external shape of modern weapon systems reveals little about their overall quality and performance. The reason for this is simple: The most important features of modern weapon systems — the sensors, the software, the data-fusion capabilities, as well as the software engineering and the system architecture — cannot be observed in a photograph. Even when it comes to features that depend directly on the external shape of an aircraft, such as its low-observability (i.e., stealth) to radar, it is not possible to infer its radar-cross section by simply “eye-balling” it. The only exceptions are evident mistakes in design or specific aspects known to increase radar reflections — i.e., those very mistakes and aspects that people have pointed out with regard to the Chinese stealth fighter, the J-20 Black Eagle. What do we know about Chinese aerospace sensors and software? Without access to intelligence, it is very difficult to assess the Chinese capabilities in this realm. Without doubt, over the past 20 years China has accomplished impressive results in the aerospace sector, including defense electronics. Yet, it has also encountered some roadblocks. We know that the J-20 does not carry an air-to-ground electro-optical targeting system and the development of some of its infrared sensors and flight control software have faced several problems. So, the little we do know tells us there is no good reason to believe that the development of its next-generation drone will avoid similar problems, especially because an autonomous system like the one on display at Zhuhai requires “significantly larger and more complex” software than a manned fighter like the J-20 does. As an important work on this very topic put it, the employment of this type of drone will require software “capable of contextual decision-making” whose development “[is] likely to prove the greatest obstacle” for any country interested in pursuing this technology. Can we say that China has closed the gap with U.S. drone technology? It seems rather unlikely. We don’t know how advanced Chinese technological-industrial capabilities are. But there is no reason to conclude that a mockup on display is even close to being operational or that it will be ready for deployment any time soon. Modern weapon systems require years of research and development, with extensive and exhausting testing and refinement activities until Swiss-watch level of perfection is achieved, as extremely minor mistakes and imperfections are sufficient to lead to systemic failure or to make the aircraft vulnerable to enemy counter-measures. And since progress in radar technology and signal processing has eroded some of the advantages of early stealth aircraft, this is particularly true for systems designed for operating in segregated air spaces. The margin for error has hence become even smaller. As we explain in our article in the winter 2018/19 issue of International Security on the limits of imitation, reverse-engineering and cyber-espionage (Vol. 43, No. 3) the complexity of modern weapon systems is such that a myriad of extremely small and subtle problems can easily emerge, with each being possibly sufficient to undermine the very mission of the aircraft or to compromise its reliability. This is particularly the case for software, where even a relatively small error rate such as 5.9 defects for every 1,000 lines of software code will lead to problems that are time-consuming and difficult to address, since the software of modern jet fighters runs into million lines of code. Unfortunately for would-be military-tech giants, there is no shortcut: Anticipating, detecting, identifying, understanding, and addressing technical problems during large defense projects entail a lot of time and effort. Even a very successful defense project can experience countless difficult problems. As pictures of the CH-7 started emerging from Zhuhai, many pointed out the evident similarities with Northrop Grumman’s XB-47B demonstrator and with the Lockheed Martin RQ-170 Sentinel, leading many to conclude that China simply copied American technology. A skeptical reader might still believe that China has caught up with the U.S. in terms of next-generation drone technology. Even if she were right, recent commentaries would still be exaggerated. 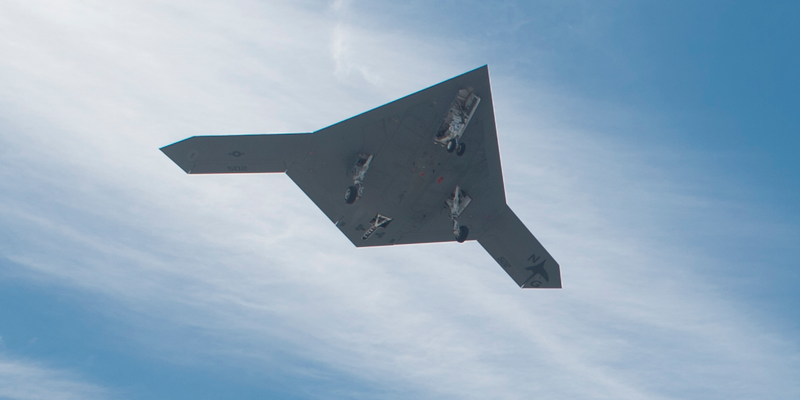 The most likely employment for the stealth drones China displayed would be as forward sensors working in formation with other manned and unmanned platforms or for air-to-surface strikes. As we have discussed in our 2016 article in Security Studies on the constraints to the diffusion of drone warfare in the, conventional military operations like these involve a network of naval (submarine and surface), ground, aerial and spatial platforms, nodes and centers, encompassing an incredibly large number of very skilled personnel tasked with different functions, from data-management and distribution, to logistical support and maintenance. This means that, even if China had this next-generation drone ready at its disposal, it would provide relatively little in terms of capability improvements, as long as the other nodes are not up to that same standard: The performance of a network depends in fact strictly on the performance of its weakest node. Andrea Gilli is a Senior Researcher in Military Affairs at the NATO Defense College in Rome, Italy and an affiliate at CISAC, Stanford University. He was previously a post-doctoral fellow at Belfer Center, Harvard University; CISAC, Stanford University; and CSS, Metropolitan-University Prague. The views expressed in this article do not represent those of NATO or of the NATO Defense College. Mauro Gilli is a Senior Researcher in Military Technology and International Security at the Federal Swiss Institute of Technology in Zurich (ETH-Zurich). He was previously a post-doctoral fellow at the Dickey Center, Dartmouth College.